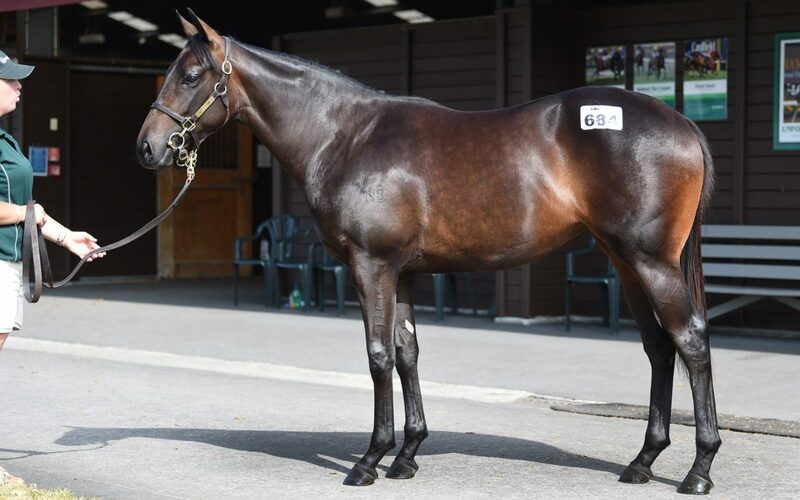 Te Akau principal David Ellis bought her brother Distinctive Darci from the same draft at the 2015 New Zealand Bloodstock Premier Yearling Sale, a strong yearling that developed into a very good racehorse. After displaying plenty of drive and extension when quickening clear to record a smart trial win by four lengths, Distinctive Darci transferred to Mark Walker in Singapore, winning nine races and $929,000 in prize money. His half-brother Kuro (Denman) is a really good-looking horse that performed exceptionally well in Australia. Kuro won five stakes races, finished third in the VRC Coolmore Stud Stakes (Gr. 1, 1200m) at Flemington, second in the Galaxy (Gr. 1, 1100m) at Rosehill, third in the QTC Cup (Gr. 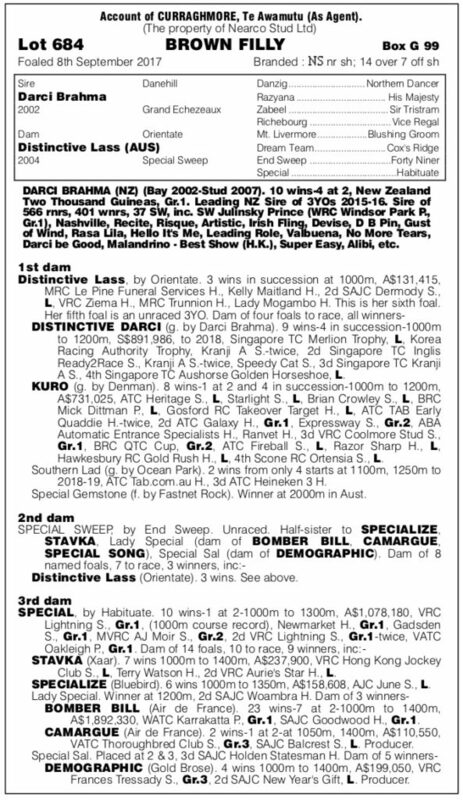 2, 1400m) at Doomben, and second in the Expressway Stakes (Gr. 2, 1200m) at Randwick, accumulating $730,000 in prize money. “She’s an absolutely beautiful filly with an enormous amount of quality about her,” said Te Akau principal David Ellis. “Rich in colour, she was probably the standout Darci Brahma filly of the sale for us. “We think she is the type to race as a two-year-old, an ideal Karaka Million filly, but she also possesses the scope to train on at three.